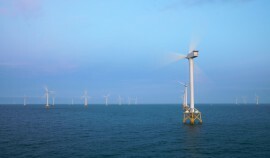 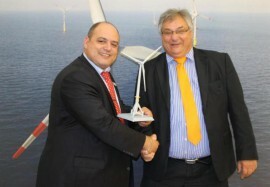 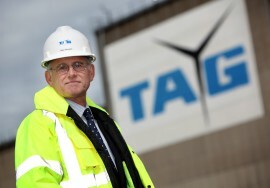 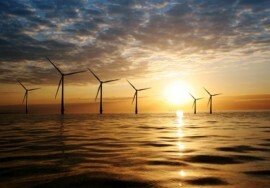 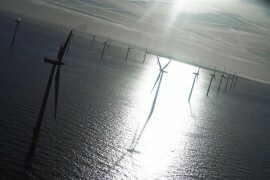 International energy company innogy and Dutch transmission system operator (TSO) TenneT have signed a Letter of Intent to jointly investigate the opportunities and challenges of offshore wind cross-border interconnectors across a North Sea Wind Power Hub system. 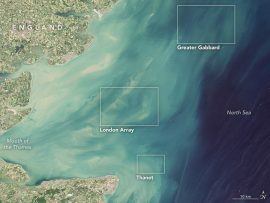 Sea. 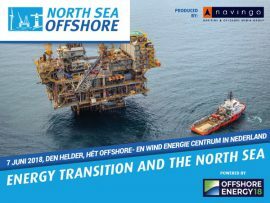 Navingo has embraced another event, aside from Offshore Energy Exhibition & Conference and Maritime & Offshore Career Event, dedicated to companies from the oil, gas and wind industry: North Sea offshore (NSO) which will take place on 7 June 2018 in Den Helder. 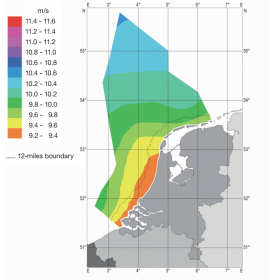 Dutch researchers are working on a new atlas featuring accurate information about North Sea winds for use in wind energy applications. 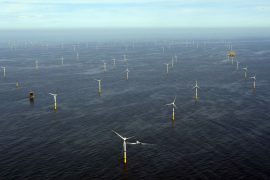 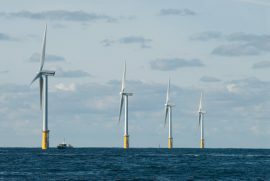 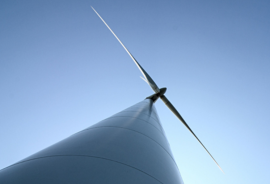 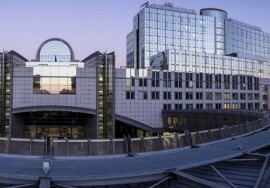 A European consortium has launched a new four-year project, ‘Inn2POWER’ – Innovation to Push Offshore Wind Energy Regions – inviting offshore wind companies and supply chains to explore collaborations across the North Sea region. 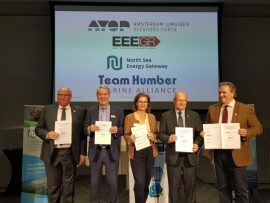 Amsterdam Ijmuiden Offshore Ports AYOP, East of England Energy Group (EEEGR), North Sea Energy Gateway Den Helder NSEG and Team Humber Marine Alliance have signed a memorandum of understanding (MoU) for cooperation during the Offshore Energy Exhibition & Conference (OEEC) in Amsterdam. 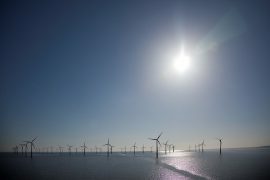 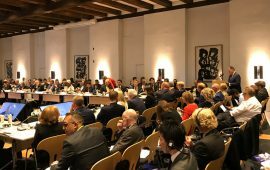 First calculations show that cost-reduction of up to 30% could be achieved by the North Sea countries cooperating on offshore wind roll-out in comparison to each country connecting its own wind farms, according to Lars Barfoed, Board Chairman at Energinet. 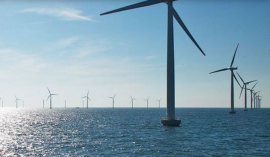 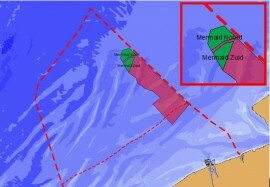 Dutch engineering and consulting company Enersea will take care of the owner’s engineering for the 370MW Norther offshore wind farm located in the Belgian part of the North Sea. 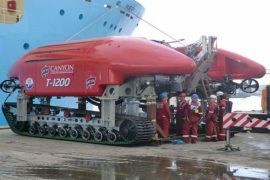 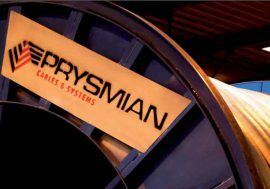 Prysmian has awarded Canyon Offshore with a multi-million pound contract for the provision of offshore cable trenching services on the North Sea Link interconnector, the 1.4GW subsea HVDC system with cables linking the UK and Norway. 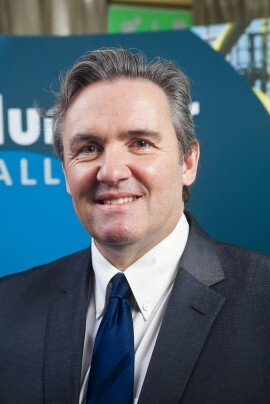 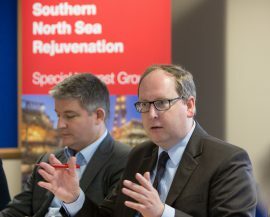 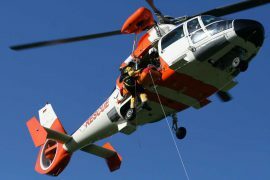 Standardised working practices, regulations and shared resources for the UK and Netherlands would bring much needed savings and operational excellence in the “small basin” of the Southern North Sea, industry experts were told.